IS LOVE IN THE STARS FOR YOU THIS FALL? Carol Allen, from Love Is In the Stars, co-hosts this week’s episode. Carol is an astrologer who steers the love lives of many women based on what is written in the stars. 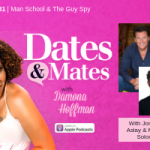 Today on the show, she gives us a fantastic fall love forecast and joins us to talk about gender and sexuality because she has a personal connection to this topic through a close transgender family member who she’s supported through his transition. 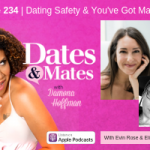 Together with our guest panel, Damona and Carol unpack what your dating life can learn from the experiences of those who have a different sexual orientation or gender identity than you do. Why are divorce rates going down? Thanks millennials! 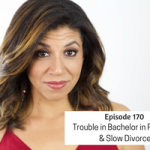 According to Time, a recent study shows that divorce rates dropped 18% from 2008 to 2016 and this is due mostly to the lower divorce rates among millennials. Is it really all that surprising that millennials are divorcing less than generations before them? We don’t think so. According to a study done by the dating app Zoosk, there are a number things that Gen Z does right when it comes to dating. Gen Zers are the least picky daters and swipe right on 33% of the matches they are presented with. How can this help you and what else can you learn from this study? We have answers. Your childhood faves have a new relationship status! It’s been a few weeks since former Sesame Street writer, Mark Saltzman, confirmed that Bert and Ernie are indeed a gay couple. The official Sesame Workshop says differently, however. Does it matter whether Bert and Ernie are gay? Does representation matter – even in kids programming? Or are we taking the puppet relationship dynamic too far? The discussion heats up this week. Sexuality and Gender Identity: Are they fixed or fluid? 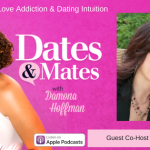 How do you know if the way you’ve been living or dating might be limiting your possibility of finding true love and happiness? We sat down with Jasmine Luna and Harry Caldwell to learn more about their experience. Jasmine Luna is your average queer, transgender, latinx witch. She is a strong advocate for her queer community, which includes work at the Trevor Project and the Los Angeles LGBT Center. Harry Caldwell is a Jewelry Designer, Yoga Instructor, and Tantra Instructor. He has identified as Pansexual for the last 15+ years and feels compelled to share his knowledge of the energy of love with everyone he encounters in order to reduce the amount of suffering in the world. Is it normal to be dating multiple people online? How can you tell if they’re busy or blowing you off? 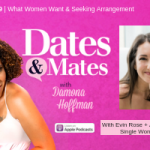 Carol Allen gives us the scoop on what the upcoming #VenusRetrograde means for your love life. 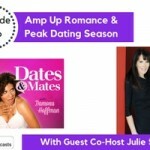 Get Carol’s compatibility report half off HERE using the offer code HALFOFF.